I like asking myself this question often. Just for fun – but this is indeed a very powerful question. I ask myself “what if” not because I am unsatisfied with my life, but because it’s like writing your own Choose-Your-Own-Adventure novel! Just think about all the multiple avenues your life could go! I think the “what ifs” are sometimes equated with unhappiness, wishful thinking or living an unfulfilled life, but you have the power to turn those “what ifs” into something meaningful – if you want them to! … I moved to Boston instead of New York? Would I like it better? Would I still be there? … I crossed this street instead of that street? Would I have gotten on the train I needed? Or would I have been hit by a cab? … I worked under my psychology degree and never went back to school for education? Would I be bored at my job? … I invented the next app or game that everyone spends their money on? Would I be better off? … I didn’t become a teacher? Would I have gone back to school? … I had a kid? Would I live in New York in an apartment? … Jill and I had gone to Greece to teach English? Would we be drinking ouzo and eating olives in Santorini right now? … I left 5 minutes earlier this morning? Would my day be different, or the same? … I decided to move to Paris this summer? Would I eat croissants every day? … I went to the movies tomorrow instead of work? Well – that’s easy – I don’t have to work! … I bought those $700 shoes? Would I actually wear them? … I stayed up all night watching TV? Would it matter? Hhhhhmmmm. What if… I didn’t write this post? Would you be asking yourself “what if”? Or would you even care? I must say this is true. We could ask ourselves this of every moment – as you have pointed out. I wonder how true it is that we have but one choice and one road to live. I personally like to think I have the choice. I like to think I can change the course by my choices. Maybe that’s why my life meets obstacles for which I push through. What if I did not have brain aneurism stroke , and I was still able to work at the job I loved to do. I was able to drive myself and not depend on others; most of all,my soul mate was still living! I know my life would be so different ; before he; died his health had improved 100%and his death was a complete shock to everyone including the nurses and doctors! I know my what ifs I think about them every day.. I still go on and do other things… This May for 3 weeks I am enrolled in ELLA courses at the U of A from Monday to Friday. Taking 3 courses: Women and Religion;First Nations in Canada-100 Years of Progress? ;Art & Architecture of N&NE Europe.Last year I did four however because I babysit my grandchildren I can not make the first time classes in the am. 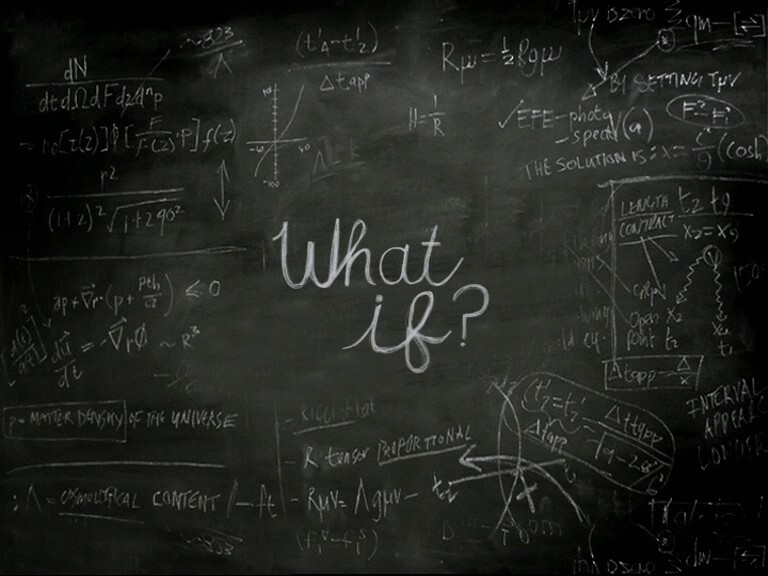 what if??????????? ?I was not so sad every day. Good for you for taking some interesting classes. Learning is amazing!